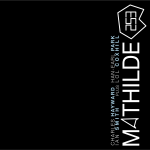 In anticipation of the upcoming release of ‘Numbers’ (CS 201 cd) with Richard Barrett, I’ve updated my discography page. In addition to the usual changes, I’ve now divided the page between physical and download releases, and anthologies. All artwork and cover graphics copyright their respective owners. 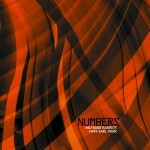 ‘Numbers’ (CS 201 cd) CD cover © 2012 Creative Sources Recordings. 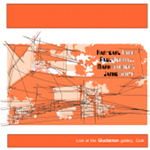 ‘Live at the Glucksman gallery, Cork’ CD cover © 2009 Jamie Smith/Owlhouse Recordings. This seems to be the month for download releases! 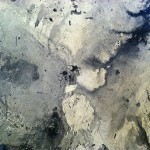 Vicmod Records releases ‘artillery’ (VMDL11) with Han-earl Park and Richard Scott. Recorded on October 23, 2010 at Richard Scott’s studio, Berlin. Recorded, mixed and mastered by Richard Scott. call (13:04), catch/pitch (10:45), carrier (7:38), artillery (13:17). Total duration: 44:44. The complete recording A track from the October 23, 2010 session by Han-earl Park and Richard Scott is now available for download below. 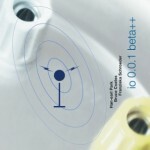 Cell 11:20 mp3 file. Currently unavailable for download. Catch | Pitch 13:27 mp3 file. Currently unavailable for download. Artillery 13:16 mp3 file. Currently unavailable for download. Recorded on October 23, 2010 at Richard Scott’s studio, Berlin. Recorded and mixed by Richard Scott. Above recordings (Cell, Catch | Pitch, Carrier, and Artillery) released under a Creative Commons Attribution-Noncommercial-No Derivative Works 3.0 Unported License. 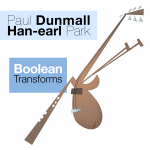 Please attribute the recordings to Han-earl Park and Richard Scott. 06–25–11: withdraw three tracks (Cell, Catch | Pitch, and Artillery). 12–06–11: add Vicmod Records release details.